Welcome to Clifford Allen Associates. CAA is an independent, one of kind, family company that is 100% dedicated to the student insurance business for private secondary schools. We sell no other product (i.e. employee benefit, P&C) and service no other market (i.e. colleges). 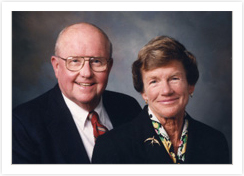 In 1992, Cliff and Judy Allen visited a handful of boarding schools with a unique product designed specifically for private secondary schools. That year, 11 schools signed up and all of those schools are still with us. Thanks almost entirely to referrals, the business has continued to grow and we now serve over 200 private secondary schools. Born and raised near Akron, OH, Cliff attended Choate Rosemary Hall on scholarship, graduating in 1952, and later graduated from Dartmouth College in 1956. He married Judith Anne Bellows in 1956, and they enjoyed 52 years together until Judy’s passing in October 2008. Cliff and Judy were not only life partners but business partners as well. They lived in Bryn Mawr, PA for over 30 years prior to moving to Hilton Head Island, SC in 1996. 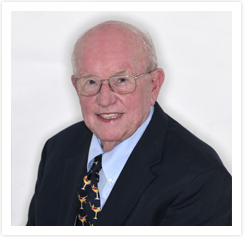 Cliff had been in the Insurance business since 1965 and earned his CLU in 1975. In June 2018, Cliff passed away, leaving behind a legacy at CAA in the hands of his son, Clifford B. Allen (“Ford”) and the other incredible members of the CAA team. Born and raised in Bryn Mawr, PA (near Philadelphia), Ford attended Radnor High School and later, had the joy of graduating from his Dad’s alma mater, Dartmouth College, in 1984. He married Lee Ann Quarterman in 1987 and they have been blessed with 3 children: Chelsea, Shelby, and Case. Ford worked for Procter & Gamble (1984 – 2001) and then moved to Hilton Head Island to join the family business in August 2001. What do you enjoy most about working at CAA? I’m the boss (just kidding). I cherish the opportunity to work with people in a “family” setting where our relationships are so much more than just business. We are blessed to serve the secondary school community where we consider our customers true friends. 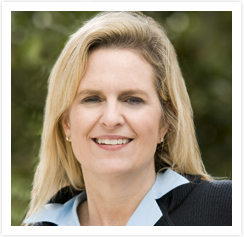 Kristin grew up in suburban Philadelphia and has lived with her family on Hilton Head Island since 2002. She graduated from Oglethorpe University, in Atlanta, GA in 1997. When not in the home office, or on the road visiting schools, she enjoys spending time with her family, especially watching their beloved Phillies and Eagles. 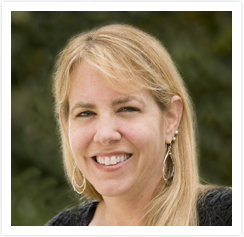 Kristin has worked for Clifford Allen Associates since 2005. 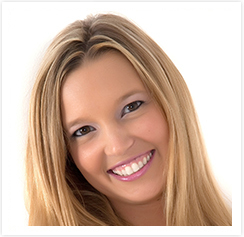 She is the Account Executive for schools in the Mid-Atlantic, Midwest and West Coast states. In addition to being a client services specialist who manages the policy renewal process for all schools, she also represents CAA at Association conferences. In addition to working with friends here in the Hilton Head office, and my co-located colleagues, I love that I have had the opportunity to work with, and become friends with, such wonderful people at schools across the country. I love visiting with them and seeing so many beautiful and diverse campuses. 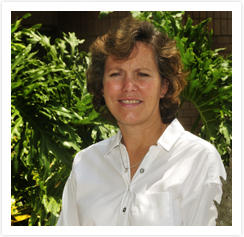 Sue was born and raised in Rochester, New York and graduated from Denison University in 1980. After graduation, she moved to Boston where she started her career in Insurance and met her future husband, Peter. They married in 1989, currently live in Hamilton, Massachusetts and have 3 girls: Molly, Sarah and Jessie. Sue worked for Brewer & Lord Insurance for 16 years which is where she first met Cliff and Judy Allen. She took 10 years off to raise her children and has been with Clifford Allen Associates since 2005. She is the Account Executive for schools located in New England. I love working with a great group of people at CAA as well as all of the wonderful people at our schools. Johnna grew up in Nashville, TN and has lived with her family on Hilton Head Island since 1999. She is a graduate of Abilene Christian University and has an MBA from Vanderbilt University. Prior to working at CAA, she worked in Human Resources for the General Electric Company. While employed by GE she had the opportunity to live and work in the US, Europe and Japan. Johnna joined the CAA team in 2010. Serving as an Account Excecutive for the Southeast and Southwest, she also leads the ecommerce and Simple database development for CAA. I love the opportunity to serve customers especially when I have the chance to visit schools and customers in person. 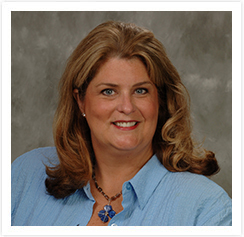 Originally from Towson, Maryland, a suburb of Baltimore, Gigi has lived on Hilton Head Island since 1990. Gigi brings with her years of experience in the real estate industry, property management, hospitality management and community volunteering. Gigi is an Account Executive and our Office Manager. The Christmas Card, hands down! We are famous for our Christmas Card! It really shows off what we do and the relationships we build and grow year after year. Our schools are our family! Victoria was born and raised in Danbury, CT and graduated from Elon University in 2006. She has a Bachelor of Science in Business Administration/Management and minors in Accounting and Dance. In 2007 she moved to St. Petersburg, FL where she began her career in student insurance with UnitedHealthcare Student Resources (2007 – 2013). During that time frame, Victoria worked extensively on the private secondary school business with the CAA team. She joined Clifford Allen Associates in March 2014. Victoria, her husband, and daughter reside in Golden, CO. Though I am co-located out of my home in Golden, I am blessed to be able to work with people I truly care about and have the ability to raise my daughter at the same time. I never feel like I am 1,693 miles away! Matt hails from the great state of Michigan but has called Hilton Head Island home since 2006. He lives here with his wife and two sons. 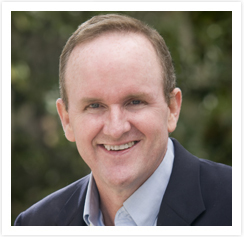 Matt has a wide experience in technology working in public schools, independent consulting and international corporations. When not working, Matt enjoys coaching and mentoring in youth sports. He also enjoys spending time fishing with his sons. The endless supply of snacks and the opportunity to work with a wide range of technologies. Janet was born in Munich, Germany into a military family and grew up all over the U.S. She attended the University of Utah and the University of Maryland. Janet is married to Mick and has one son, Preston. She moved to Hilton Head in 2010 and joined the CAA team in March 2018. The people! Never in my long career have I worked for a company whose priorities are truly (1) family (2) company (3) customers and in that order. It is a pleasure to work with the team taking great care of our customers!